Webinars make it easy, fast and more affordable than traditional live events. Save time. Reduce stress. We'll organize and manage your live webinars. 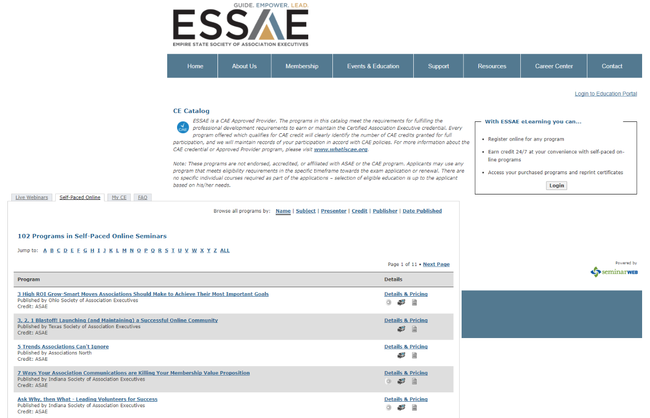 Having a flawless program is part of a great online education experience at your association. Once you submit a webinar, we’ll do the rest. We conduct a technical rehearsal with speakers, moderate webinars, distribute materials, evaluations and credit certificates, and provide you with tools for compliance with credit authorities. No monthly minimums. No meeting space. No travel. A single setup fee for each webinar includes all of the management support you need for a successful webinar with up to 500 participants. Then simply pay per registrant. It's the easiest way to budget and plan a successful and profitable event. Professional and industry trends happen fast - webinars make your association relevant. 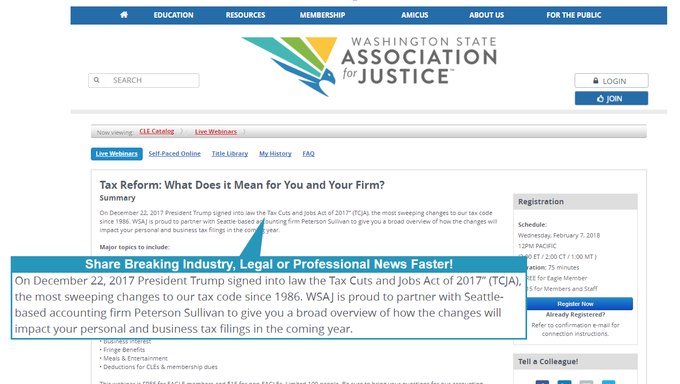 When your association has breaking industry, legal or professional news, webinars give members immediate access to education that matters the most their business or profession. Remaining relevant to members means that you want to be first in the marketplace with news, trends and changes. Webinars are easy for members to access anywhere. Webinars are not only convenient, but also cost-effective for members eliminating travel costs. Our Webinars also have a mobile app option so that participants can join from their mobile devices & tablets. Engage members with participatory tools to create a better learning experience. Webinars give you a variety of options to connect and interact with members including live chat, on-screen questions, audience polling, moderated Q&A sessions, and other tools including audit features for credit compliance. Create a rich education experience for your association webinars. 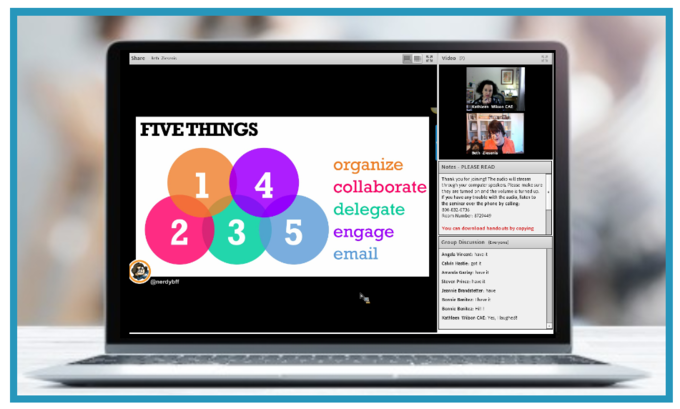 Webinars offer a true multi-media opportunity for presenters, allowing your association to create visually appealing and engaging content. You can utilize PowerPoint presentations, webcams, slides, and even replay pre-recorded video segments.